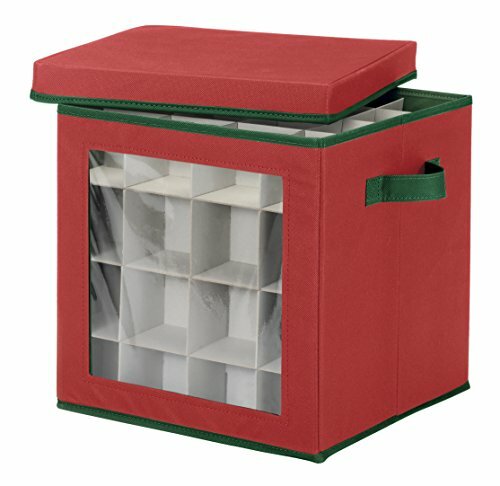 The outer storage box is made with a tear-free polypropylene fabric that is sturdy and helps the organizer last, year after year. The cardboard divider inserts are easy to assemble, they fit snugly together and won't slide around. The storage box is equipped with sturdy double stitched handles in a contrasting color, making it easy to carry around and store it up wherever there is space. Collapses when not in use for flat, compact storage. Features a clear see through window, which allows for quick and easy identification of stored Christmas ornaments and a removable top.